I have been trained SQL Server 2005 several months ago but I haven’t time to summarize yet so I’m going to write as much as possible. The training course concerns about using MS SQL Server 2005 with MS Visual Studio Visual Basic.NET so some part may contains source code in VB.NET. 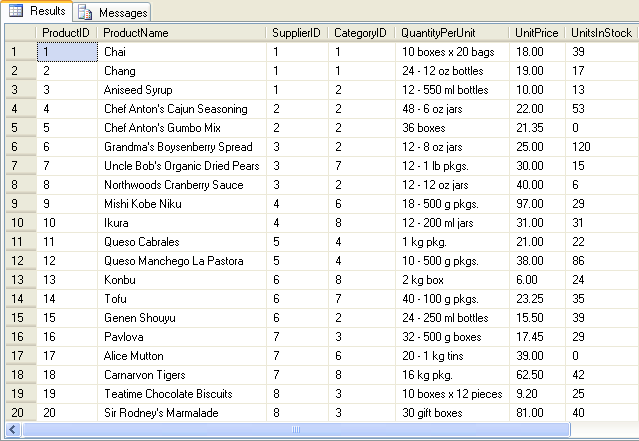 Most of contents will express using example and figure if you need reference or more detail of functions, you can try search at MSDN, Microsoft.com. I hope that these may be useful for programmers to review. The training consumes 5 days so I’ll categorize this by days and also separate each day into 2 parts because it’s quite long. This is the environment which was set up for the training. 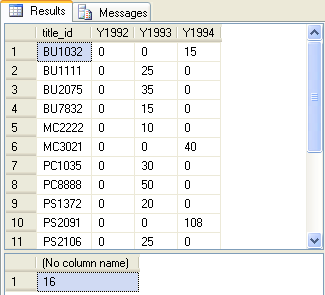 SQL Server 2005 Express edition with SQL Server Management Studio Express. 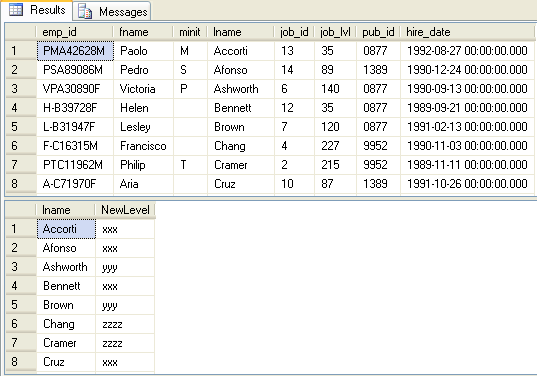 SQL2000SampleDb for Northwind and pubs. AdventureWorksDBCI for AdventureWorks (Case Insensitive). 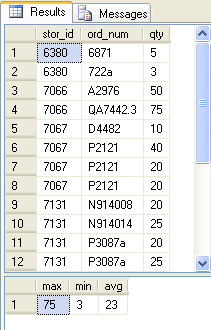 Open New Query. 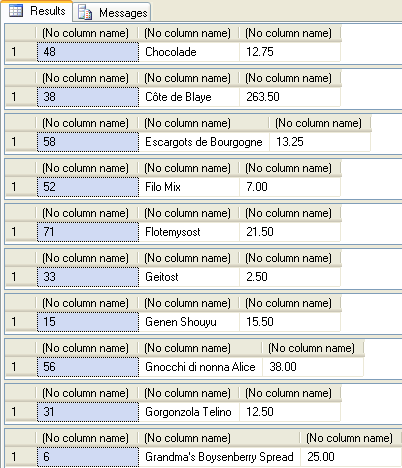 Before any query, Iâ€™ll type use â€œDatabaseNameï¿½? 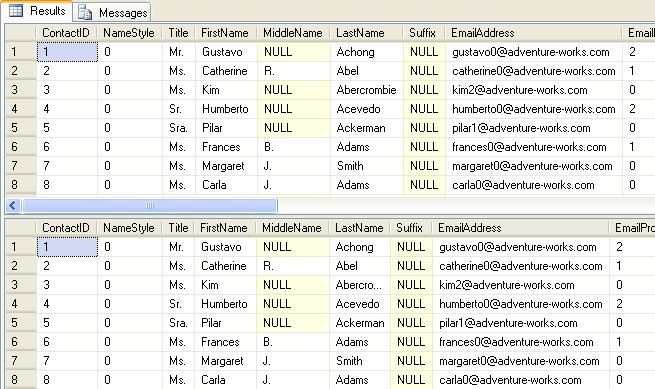 to select the database. 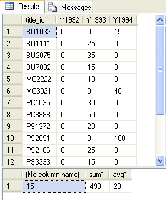 Returns the sequential number of a row within a partition of a result set, starting at 1 for the first row in each partition. 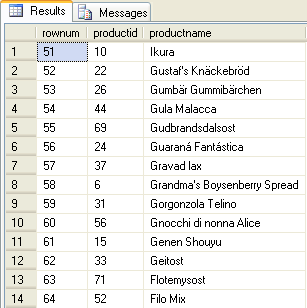 Show row number start from last productname as 1 and so on. 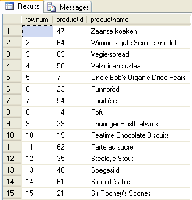 And return the result ordering by ascending productname. 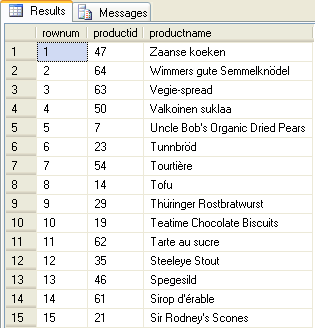 Select only rownum > 60 from the above example and return the result ordering by descend productid. 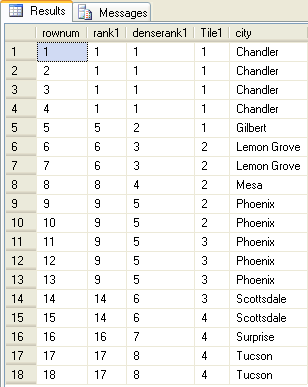 Using local temporary table to store result set. 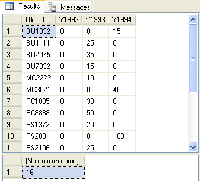 The table will be deleted automatically after close the connection. 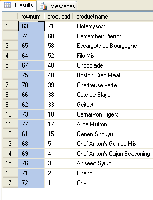 Select some records and store into table named â€˜temp1â€™. Using CTE (Common Table Expression) as temporary result set. 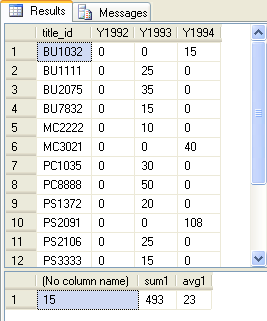 Select some records and keep into m1 result set. 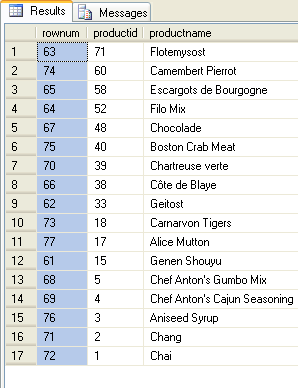 rank() – returns the rank of each row within the partition of a result set. 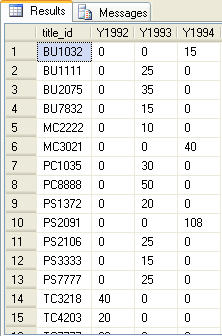 The rank of a row is one plus the number of ranks that come before the row in question. 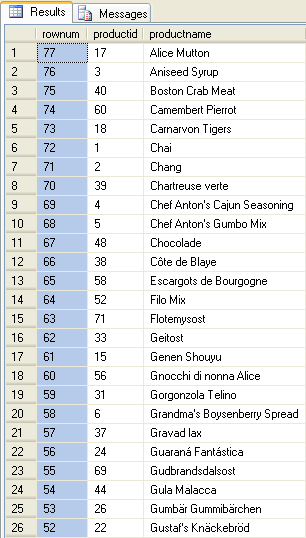 dense_rank() – returns the rank of rows within the partition of a result set, without any gaps in the ranking. 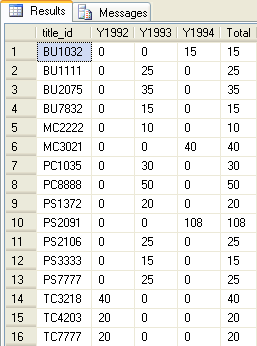 The rank of a row is one plus the number of distinct ranks that come before the row in question. 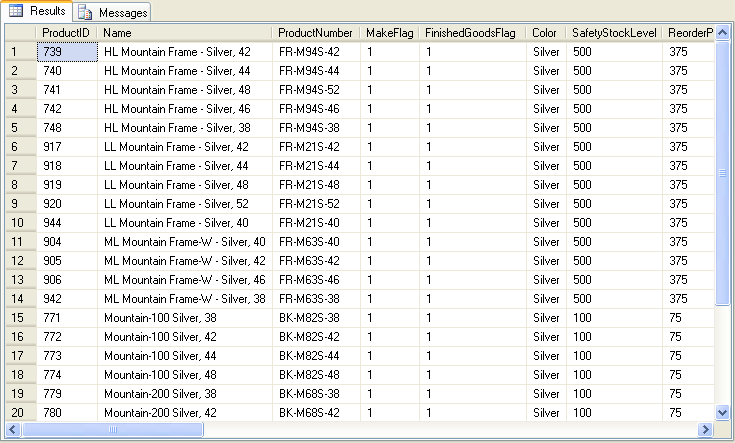 Ntile() – distributes the rows in an ordered partition into a specified number of groups. The groups are numbered, starting at one. 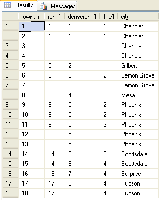 For each row, NTILE returns the number of the group to which the row belongs. By using WITH, you can make your query more readable as the example below. 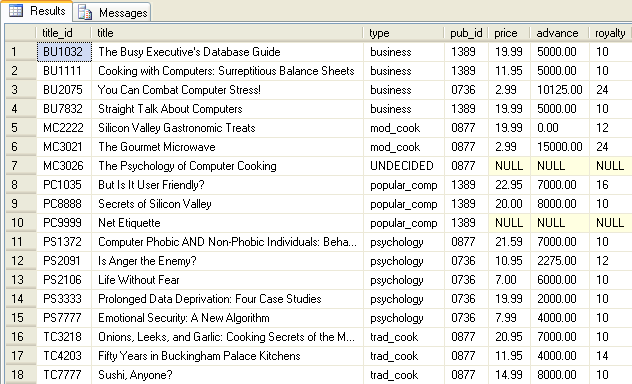 Both queries return the same result but notice that the second one is easier to read. Using temp table in a store procedure. 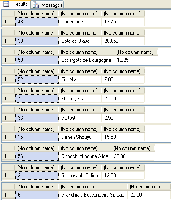 By define as a global, you can called it anywhere until you disconnect from the SQL Server. 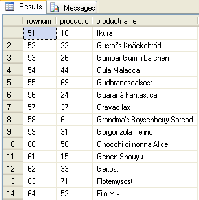 Cursor, fetch data each record. Save memory -> forward only, can’t backward. cursor backward – use fetch back … to get previous record. Thanks for your sharing. 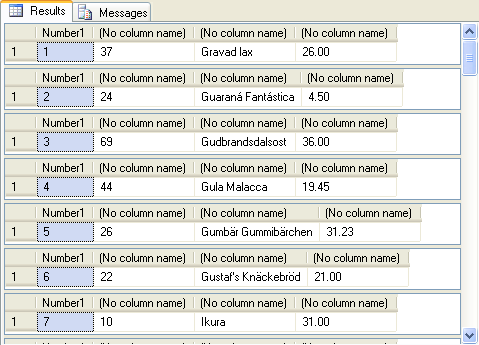 Microsoft had remove sample database for 2005.